● Kyle Busch started ninth, finished 27th. 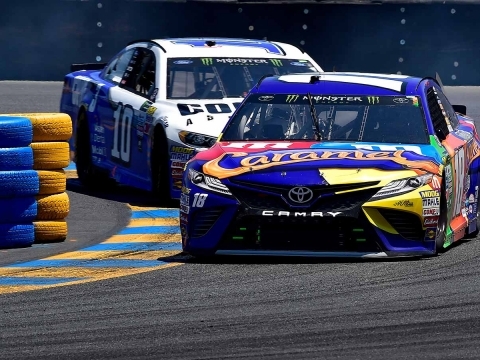 ● Busch moved his way up to sixth by lap 15, but his racecar lacked forward bite as tire wear increased through the run. ● The M&M’S Caramel driver dropped back as the stage progressed. Battling a car with extreme rear-tire wear, Busch dropped to 12th by lap 20 and 14th by lap 22. ● On lap 22 Busch pitted, as strategy called for him to give up on finishing high in the stage to gain track position after the stage break. He crossed the line at lap 25 in 27th. 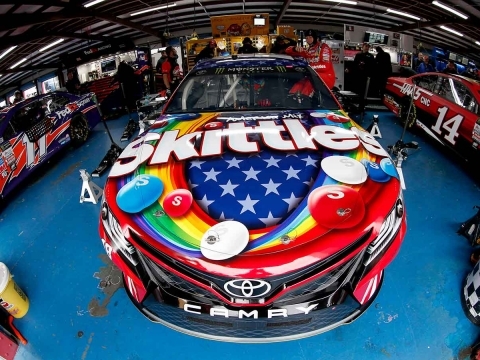 ● Busch started seventh, finished 23rd. ● After more than half the field pitted at the stage break, Busch cycled up to start Stage 2 in seventh. ● Busch was able to gain two positions over the next 20 laps, as he passed his brother Kurt on lap 48 and held onto the fifth spot. ● Much like in the first stage, crew chief Adam Stevens made the call to pit on lap 48, two laps before the stage break. Busch finished 23rd in the second stage to give up track position and put him in the right position at the start of Stage 3. ● Busch started fifth, finished fifth. ● The M&M’S Caramel driver started the final stage in fifth place. ● The 2015 NASCAR Cup Series champ held his ground in fifth for much of the final stage. He pitted on lap 72 and, eventually, moved up to fourth by lap 91. 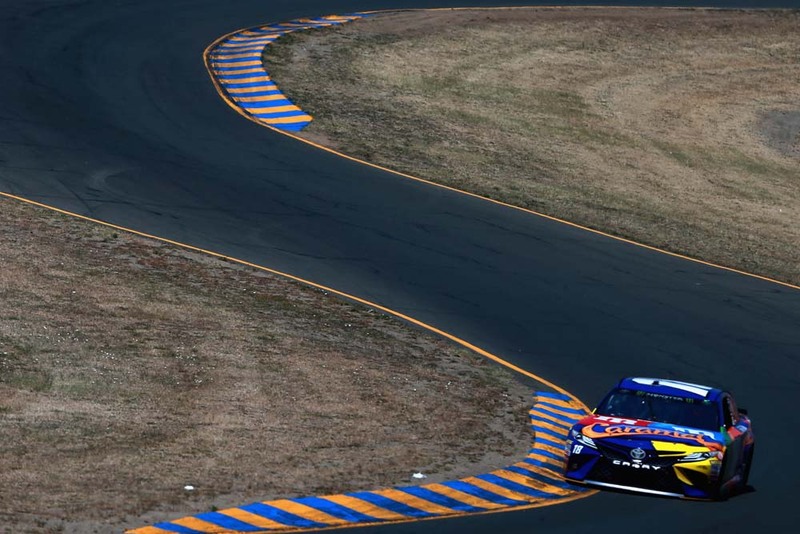 ● The strategies were split during the final 20-lap run to the finish, and Busch’s only option to try and score a victory was to pit for tires one final time and hope for a late caution. ● The final caution never came, but Busch worked his way up from 11th after the pit stop to his eventual finishing position of fifth with five laps to go. Busch finished up the race in the position he ran for much of the 350-kilometer event and brought home another solid top-five finish. 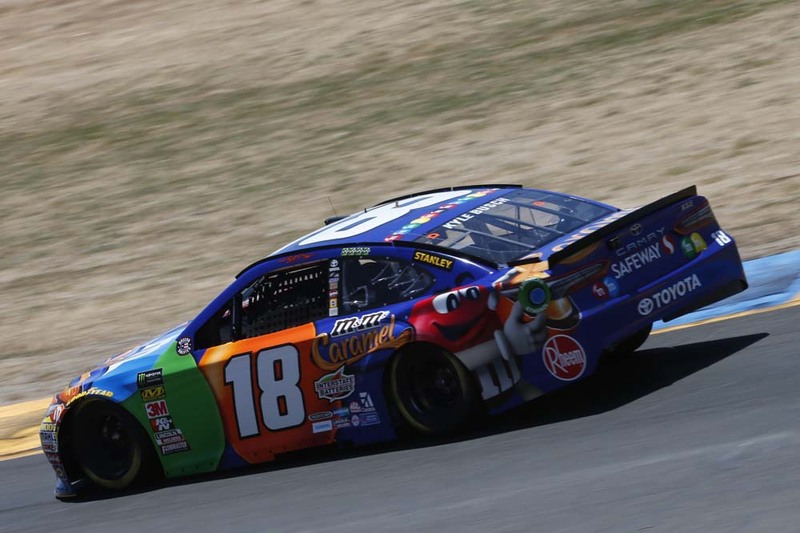 ● This is Busch’s fourth top-five and sixth top-10 finish at the Sonoma. ● The top-five was also his 11th of the year and his 13th top-10 finish in the first 16 races of the season. 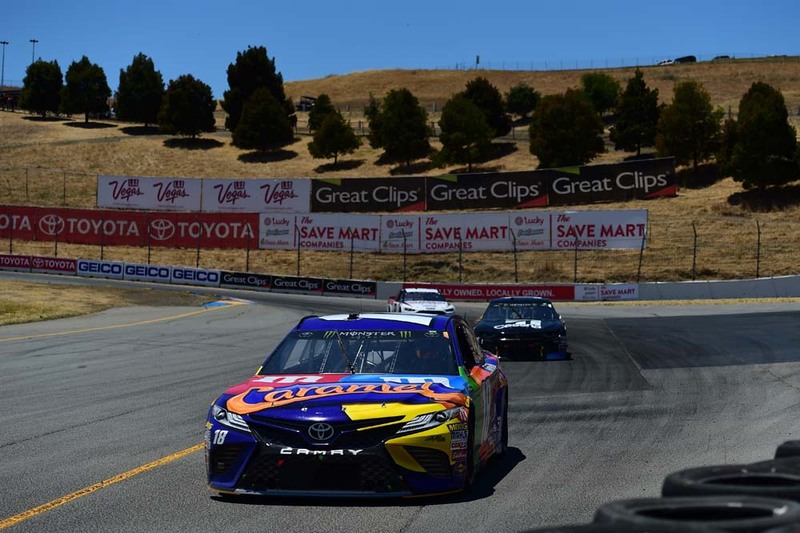 Next Up: The next event on the Monster Energy NASCAR Cup Series schedule is the Overton’s 400 on Sunday, July 1 at Chicagoland Speedway in Joliet, Illinois. The race starts at 2:30 p.m. EDT with live coverage provided by NBCSN.